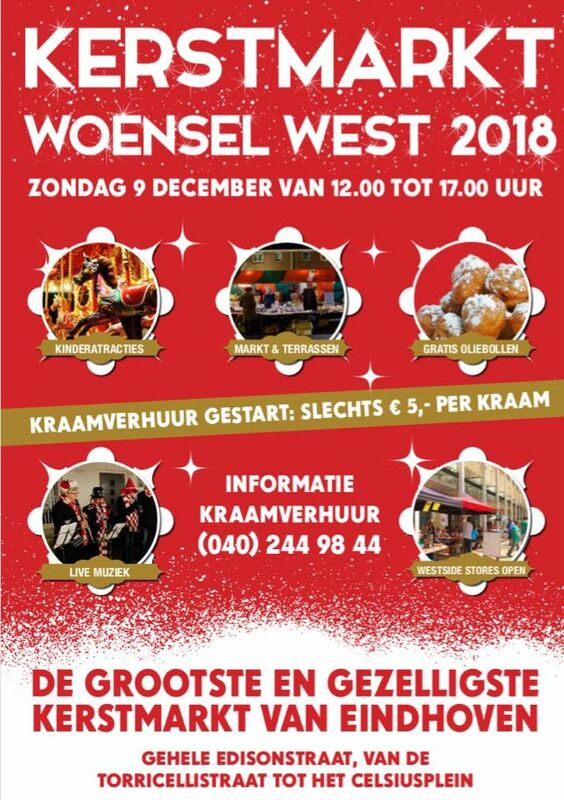 On December 9th there's a large Christmas Market in Woensel West. All of the Edisonstraat, from Torricellistraat until Celsiusplein, will be part of the market, where you will find many stalls, food & drinks, fun for kids, live music and the Woensel Westside Stores will be open. So no excuse not to visit this, what might be Eindhoven's largest and cosiest, Christmas Market!